Have you considered hosting internationals? We have had a fantastic response from internationals visitors who would love to come to Charnwood and it is looking like the largest international representation Charnwood has ever had! The international team are now on the look out for UK groups to host internationals visitors onsite at Charnwood for the week of the camp. UK groups would then provide tents, catering equipment and food and a sum of £65.00 per international person will be paid to cover costs. The responsibility of the young people remain with their international leaders. Normally, Girl Guiding groups will host WAGGGS members where as Scouts will host WOSM members. When we agreed to host an overseas group of leaders and girls at the Charnwood International Guide and Scout Camp in 2016, little did we know what adventures were in store for us as a Guide unit? Charnwood 2016 was a fantastic experience to share with our guests and we became firm friends and have kept in regular contact ever since. 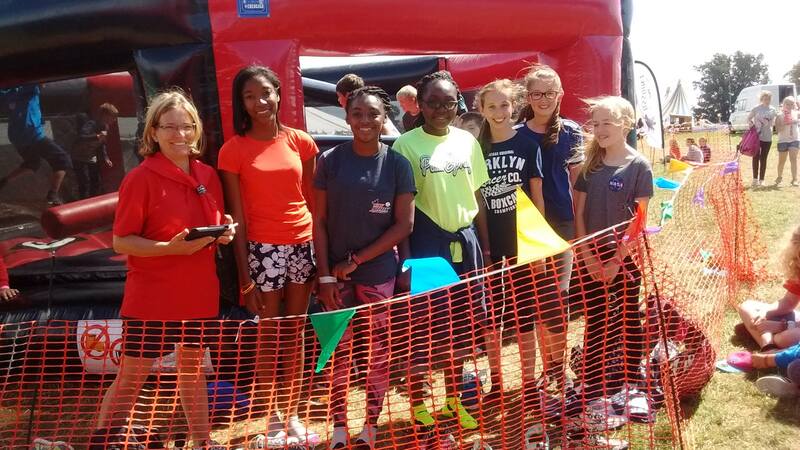 Two years later, after much discussion and months of planning five leaders and seven girls boarded a BA flight in October 2018 to the Caribbean island of Grenada for a trip of a lifetime. As we emerged with our luggage from Customs we were greeted by the Chief Commissioner and members of Grenada Girlguiding, and many of our Grenada friends from Charnwood 2016. Our taxi took us to our accommodation which was ideally located ten minutes walk from Grand Anse beach and a short bus ride into the capital, St George’s. 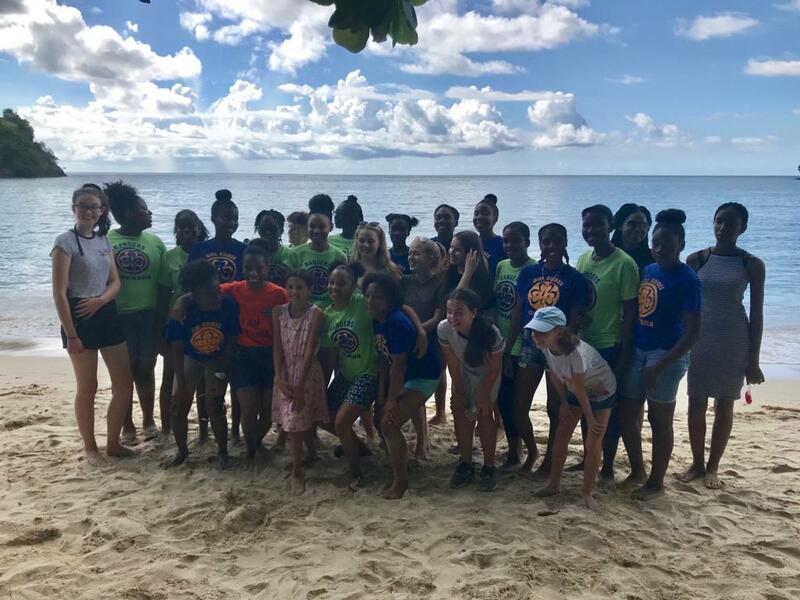 The following day we started the trip with beach games and a BBQ hosted by Grenada Guides and we finished the week with a visit to a Guide meeting at St. Joseph’s school led by our friend and Guide leader, Cleon St Paul, where the girls joined in with a patrol wide game. Our two youngest guides made their Promise in front of the gathering and we surprised our friends by singing the Grenada national anthem which we had learnt during the week. Our other adventures included an island tour to a herb and spice garden, a nutmeg and chocolate processing station and a chocolate factory where, of course we sampled all the products. 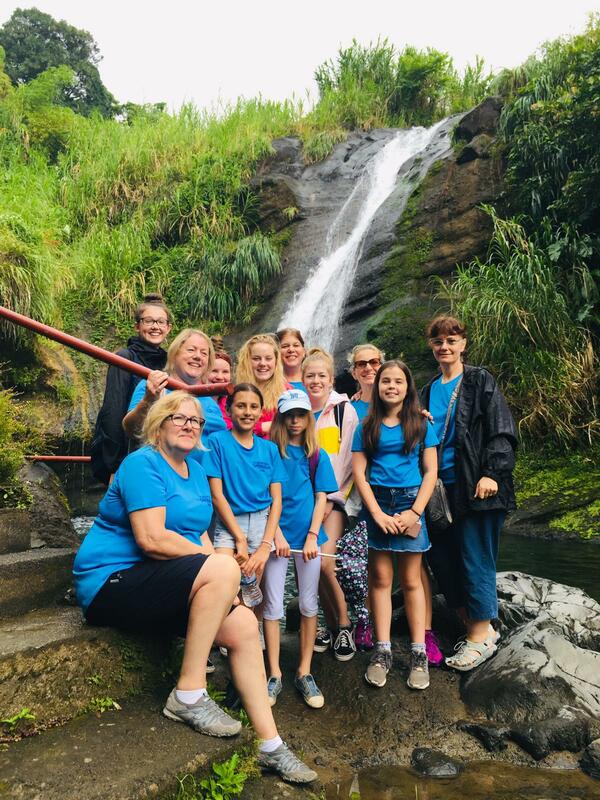 We also visited several waterfalls, one of which involved a hike through the Rainforest and across some raging rivers of Grand Etang National Park. We went snorkelling in Flamingo bay and the Underwater Sculpture park, we visited the National Museum and climbed up to fort Frederick and Fort George for amazing views across the island and the coast. We went shopping in the craft and spice markets and swam in the beautiful clear blue sea most days. We experienced blazing sunshine, exhausting heat, torrential rain and spectacular sunsets. We also sampled traditional foods at the Street Food Fair and entertained our Grenada friends at our apartments, playing games and doing crafts together in exchange for having our hair braided Caribbean style. The week flew by and it was with tired bodies and heavy hearts that we said farewell to friends old and new before catching our flight home. But the good news is that they are planning to send a group to Charnwood 2019, so we hope to see them again soon. Long may our very special friendship continue!